Kanye West and Kim Kardashian got ya covered if you’re thirsty for lemonade and unreleased Yeezys … and it’s all to raise money for a great cause. 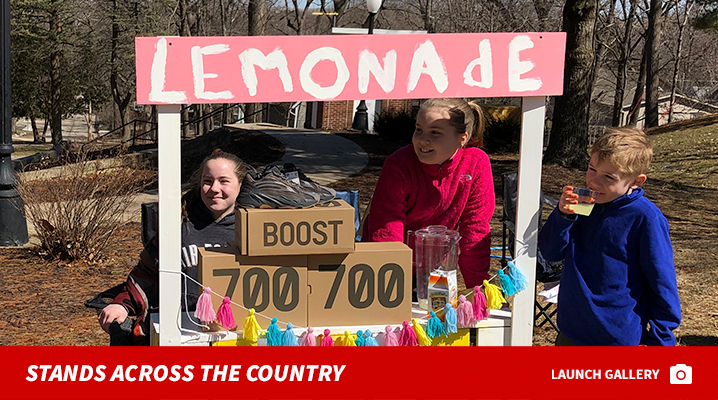 Kanye, Kim and Adidas partnered with families across the country Friday to create homemade lemonade stands hawking fresh drinks, and even fresher kicks … and all the proceeds are being donated to the National Alliance on Mental Illness. The pop-ups are operating right now … and if you run across one, you can cop an unreleased pair of the Yeezy Boost 700 V2 “Geode” for $300. The lemonade stands are up and running in Indianapolis, Texas, Ohio, Minnesota, Illinois, Iowa and South Dakota. Kim and Kanye are also busy building their own stand, which they’ll set up in their community.